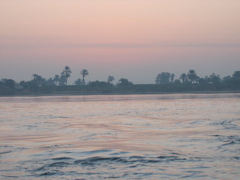 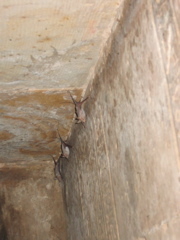 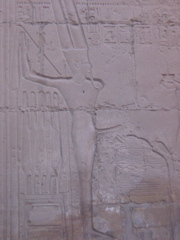 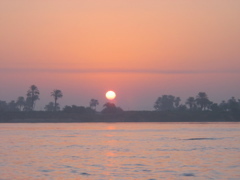 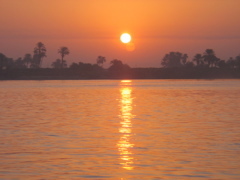 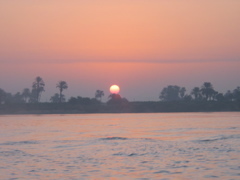 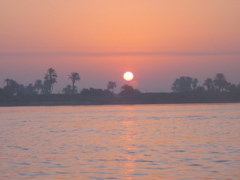 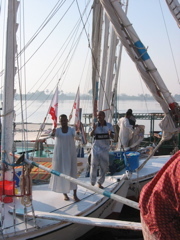 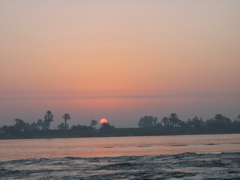 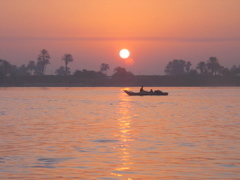 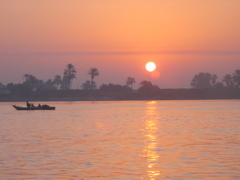 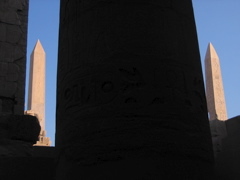 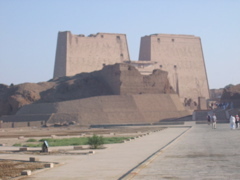 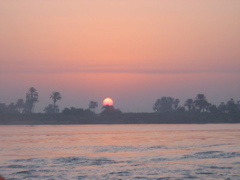 We docked at sunrise and said a sad goodbye to our Nubian guides and headed for the Edfu temple. 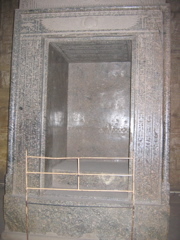 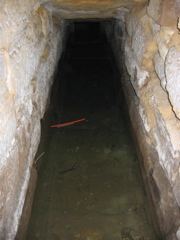 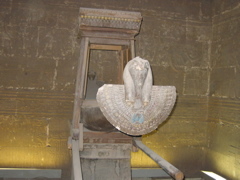 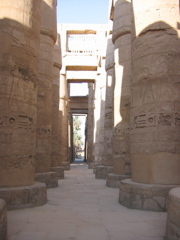 The most impressive feature of the temple was how in complete it was, with the roof still in tact. 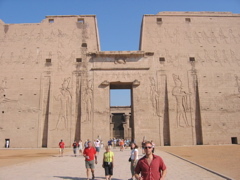 The massive front facade was also quite impressive. 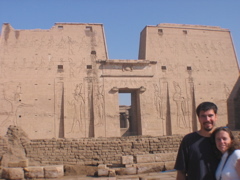 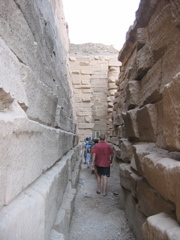 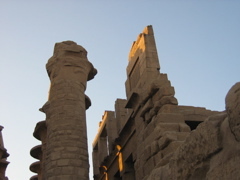 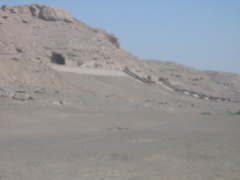 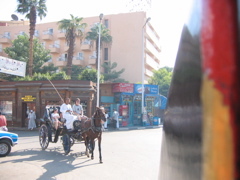 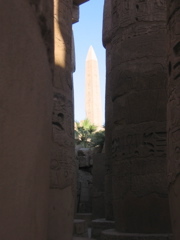 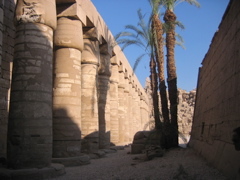 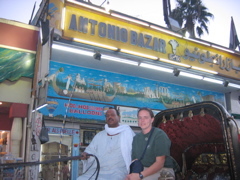 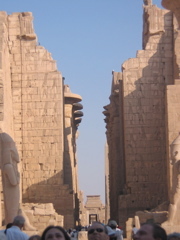 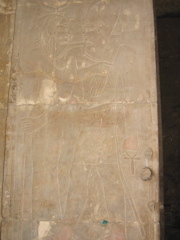 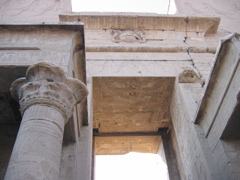 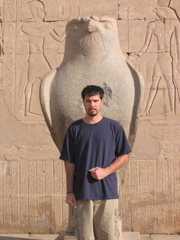 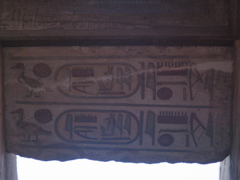 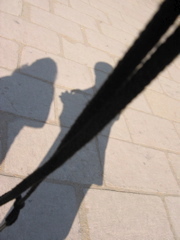 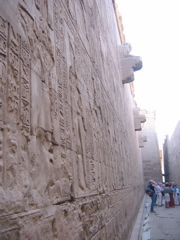 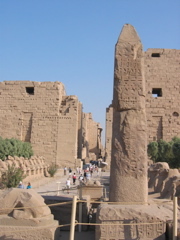 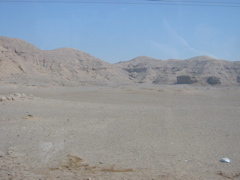 After a short time at the temple, we took a bus to Luxor. 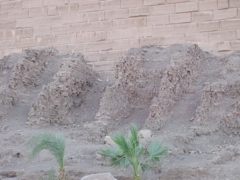 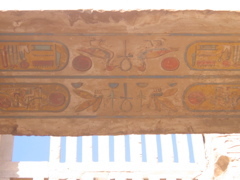 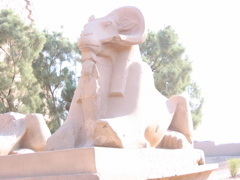 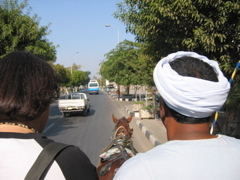 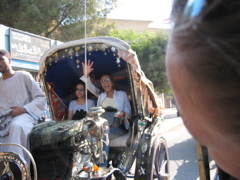 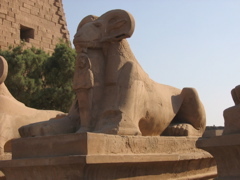 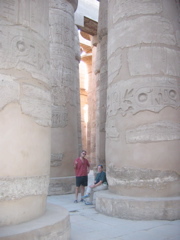 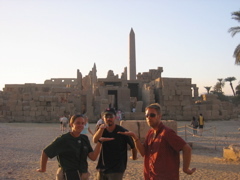 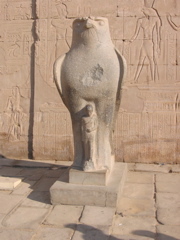 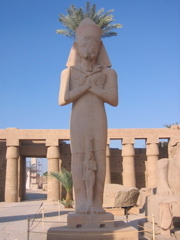 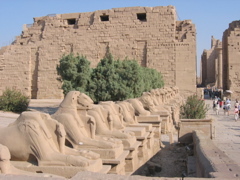 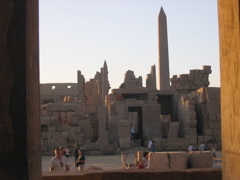 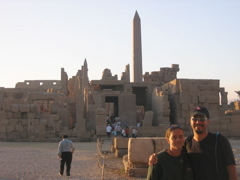 We then took a horse carriage to the Karnak temple, by far the most extensive temple we visited on the tour, stretching out over more than 200 acres. 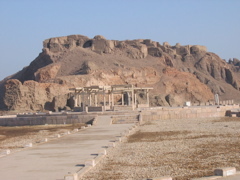 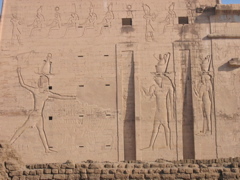 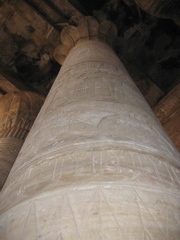 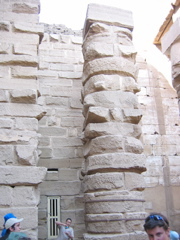 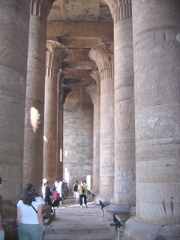 There were several walls that had been added on by pharaoh after pharaoh, and the central temple had an amazing array of huge pillars. 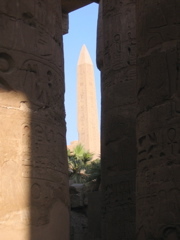 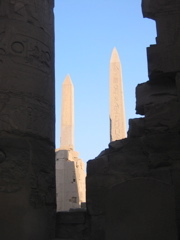 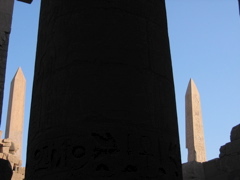 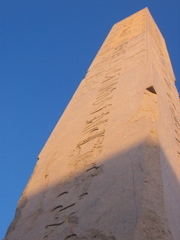 There were also a couple of impressive obelisks, a massive statue, and a wishing circle. 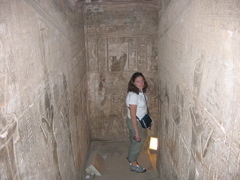 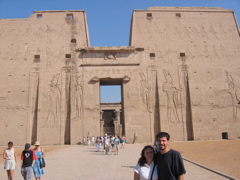 That night Lynette was very sick, so we missed out on dinner and a walk-by of the Luxor Temple.